Sunday CakePop Crumbs…are YOU ready for Missoni at Target? OK, I admit, I have always loved Missoni – both vintage and new – and I’m lucky enough to have a few prized pieces – a tunic, a sweater, a bikini. But they come at a price! 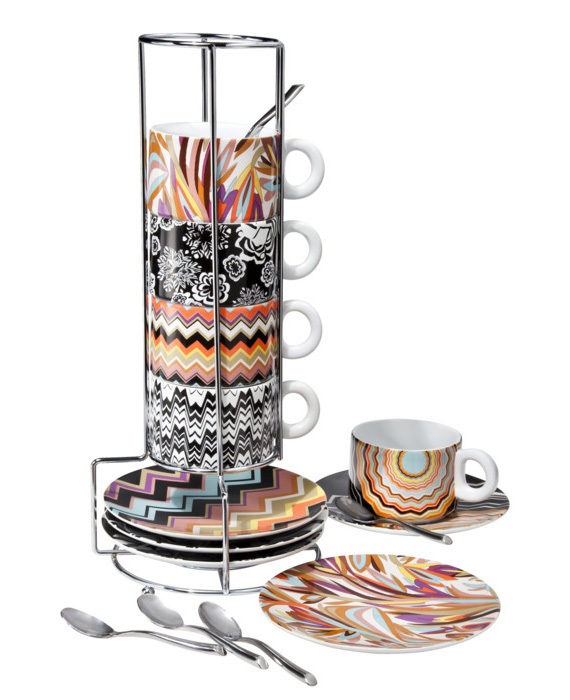 Well, frugal gals (and guys), Margherita Missoni and famiglia bring their prized zigzags to Target on September 13, with most prices under $40. Here are a few of the things I am coveting. I am sure I’ll storm the barricades that morning at opening, pronto! Will you? So many pieces for brides, bridesmaids, your newlywed home, those who love to entertain and beach! So loving this demitasse set for espresso! Prego!How adorable are the appetizer plates? 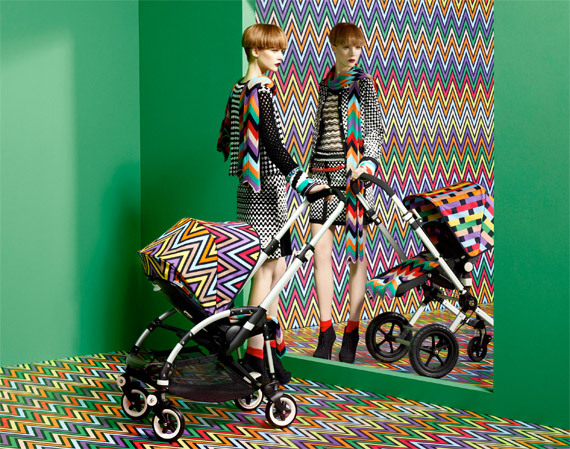 Unrelated - Missoni Bugaboo. Spotted Rachel Zoe with hers last week in East Hampton Starbucks. She looked great and the baby is adorable! Four fabulous looks! Check out the swimsuit! Posted in bathing, fabulous, fashion and tagged cheap thrills, home, Margherita Missoni, Missoni, Shopping, Target Corporation. Bookmark the permalink.